Providing bass with weight and authority, the Boston Acoustics ASW 650 650-Watt Peak 10-Inch Front-Firing Powered Subwoofer makes an ideal addition to home theater or music systems. Featuring a switched mode power supply for consistent performance, this powerful subwoofer is equipped with BassTrac technology to maximize bass output while avoiding overload and distortion. The woofer's ceramic/glass fiber polymer construction delivers more bass response from less amplifier power. With the ASW 650 subwoofer, you can effortlessly reproduce the lowest of low frequencies on your favorite Blu-ray movies, video games, and music whether they are explosions, bass guitars, or drums. reproduce the lowest musical tones on your favorite Blu-ray movies, video games, and music. Pair with additional A Series speakers (sold separately) to create an immersive surround sound experience. 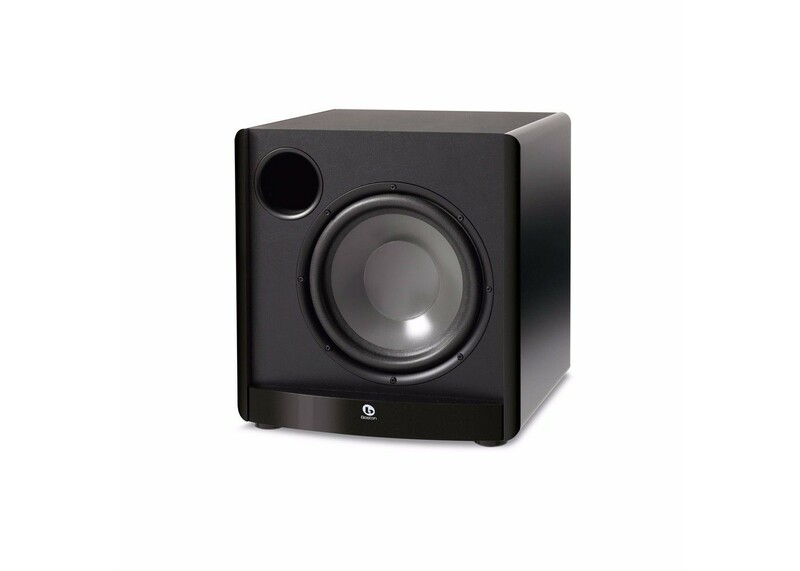 Each speaker in the A Series incorporates innovative materials and fabrication methods for improved frequency response and enhanced stereo imaging.. The ASW 650's adjustable low pass filter lets you balance the bass load between the subwoofer and speakers, allowing the subwoofer to produce only the lowest tones. A switched mode power supply helps the ASW 650 maintain a constant power reserve that results in lower distortion and consistent performance during extended loud passages. Boston's A Series speakers are ideal for either multichannel home theater or stereo-only music systems and may be used in any configuration for other listening applications.Boston Acoustics creates all of its speakers following the Play Smart approach to product design--sensible, useful, smart design features combined with contemporary styling. To deliver the best performance possible in this price class, Boston's engineers brought together the best elements of traditional loudspeaker design, incorporating several new technologies into the A Series.Boston's engineers utilized Laser Vibrometer Scanning and Finite Element Analysis (FEA) to identify unwanted resonances in the loudspeaker with the goal of eliminating them to greatly improve performance. The elimination of hardware on the cabinet's front baffle and rounded front edges further improve driver performance for improved stereo imaging.The Boston Acoustics ASW 650 650-watt peak 10-inch front-firing powered subwoofer is backed by a five-year warranty, subject to the full warranty terms and conditions. One ASW 650 650-watt peak 10-inch front-firing powered subwoofer and instructions.